As someone who has been a fan of the Backstreet Boys for over 20 years, I was excited to hear that 2018 was going to be an amazing year for the group and their fans. First they sign a new record deal with RCA Records and then came the biggie: word of a new single AND video. "Don't Go Breaking My HEart" is out now on Amazon.com and the other online retailers, and already it is climbing the charts. In support of the new single, the Backstreet Boys will be making the rounds of the new outlets including returning to the Good Morning America Summer Concert Series in New York’s Central Park on July 13th. The group will also perform at a series of summer radio shows like this year’s KIIS FM Wango Tango before returning to their record-breaking “Backstreet Boys: Larger Than Life” Las Vegas Residency. I told my friends that the new music takes you back to when you first became fans of the group in the very beginning. It’s hard not to think the group's latest activities didn’t shape this track. 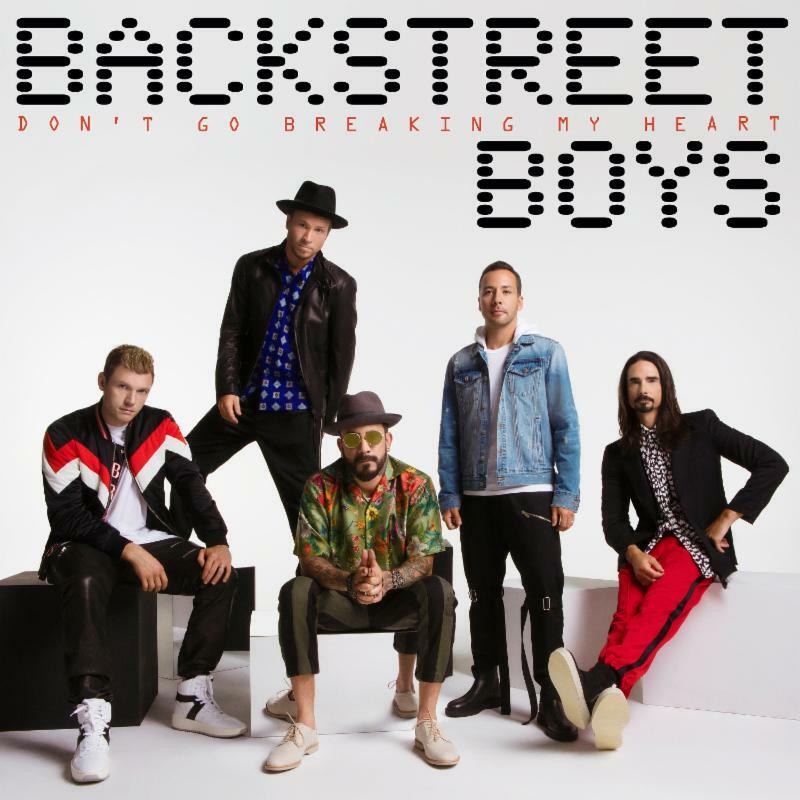 Whether it's the creative relationship with Florida Georgia Line that earned the guys their first #1 Country radio single; working with a variety of new and young producers; there’s an undeniable energy and creativity surrounding the Backstreet Boys and “Don’t Go Breaking My Heart” is an extraordinary new track from a group who continues to impress 25 years into their storied career.